A half dozen white rhinos – the first of an eventual herd of 80 animals of breeding age – will be airlifted shortly to Australia from South Africa, in an urgent attempt to keep the world’s white rhino population from going extinct from poaching. South African native and long-time Aussie, Ray Dearlove, brainstormed the idea into reality when a friend first proposed it – and now he is the man on this mission: to create a safe haven and breeding sanctuary in western Australia, with the goal of repatriating these magnificent animals back to their home continent. 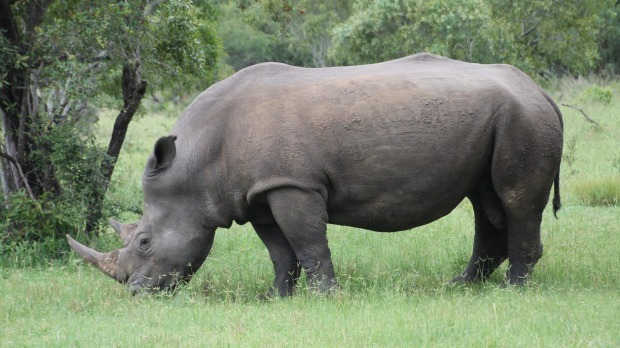 Dearlove says, “This is a dire situation.” Worldwide the rhino population has plummeted in just over a century from one million in 1900 to less than 25,000. The Western black rhino has been declared extinct for conservation and breeding purposes. The death numbers are staggering – averaging 120 a month this year alone; with thousands since 2010. 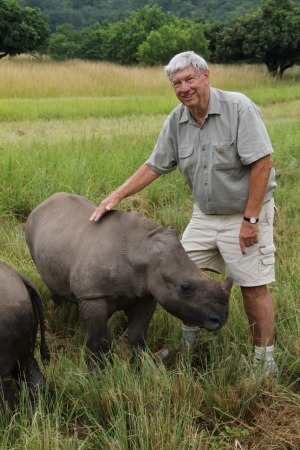 “There is no safe place in Africa for rhinos today,” says Dearlove. Dearlove’s experiences as a kid growing up in South Africa included family trips to Kruger National Park that exposed him to Africa’s big five species (lions, elephants, rhino, etc) , and the impression they left was indelible. Not a scientist or conservationist (he was in real estate), Dearlove has demonstrated a real knack for convincing government officials in both countries, scientists, the conservation community and early donors that this is a sound approach. But this is a complex project and it takes time. 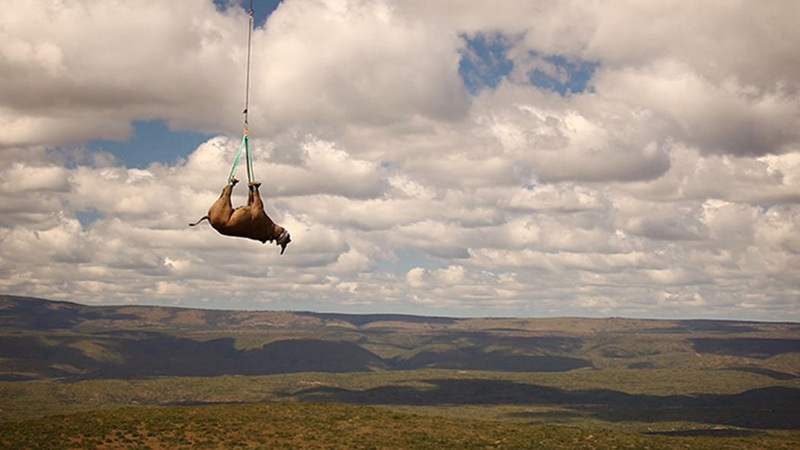 While waiting to cut through the last red tape before the first airlift, half of the original 12 rhinos safeguarded in a private sanctuary—inside Kruger National Park– were poached, leaving the six that will cross the Pacific Ocean this summer by cargo plane as the first shipment. The goal is to get all 80 there by 2020. Looked at another way, the death count now exceeds the birth rate annually, according to conservationists. Gestation averages around 16 months and typically there’s only one calf. It’s a losing battle when a single large rhino horn can command up to $650,000 – making it more valuable ounce for ounce than gold, platinum or cocaine. Poachers can come into the park from across the Mozambique border and run for kilometers past lions, snakes and other deadly animals to get their prize by ripping off the horn and leaving the animal to die. Dearlove points out “The horn itself will change hands probably six times before it gets on a boat and heads to Asia.” Sadly there’s no scientific basis for the horn’s miraculous powers that have Chinese and Vietnamese clamoring for it. With poachers literally on Kruger Park’s doorstep, it means finding the means – at $75,000 per rhino for the airlift alone – to establish what he calls an “insurance” herd to keep the species alive and reproducing in a genetically viable way. “I thought Australia is one of the safest places on the planet to start this breeding herd,” says Dearlove, “with the eventual intention that they would be repatriated to Africa….” We can’t be sure how or when the poaching will stop, but Ray Dearlove deserves our admiration.